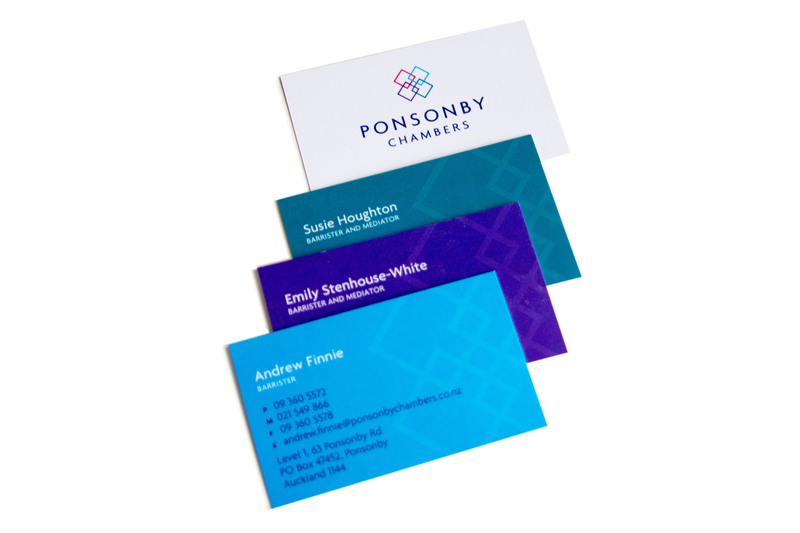 A Ponsonby-based Auckland law practice comprised of four businesses; four unique personalities. The interlocking squares styled in four strong colours represents this. Each business has been assigned a colour which is used on their business cards to reinforce their brand.